Education Base Pro is a clean, professional design, beautiful, modern and elegant premium education WordPress theme, designed specifically with educational institutions in mind. Education Base Pro is the best choice for every educational institutes from early childhood and primary educational institutions to School, College, University, Course Hub, Training Center, LMS, Academy, Online courses & for all Educational Institute. Education base pro is not just only education theme; indeed, it is multipurpose WordPress theme suitable for any sites. It’s clean and simple design, capital features and easy customizable options will help to create any kind of awesome sites. It is Woo Commerce ready theme, so that you can easily manage your online courses as well. 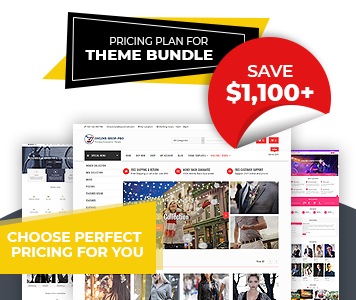 This theme is page builder compatible and can manage every page easily. Its highly crafted premium features, added custom widgets, and many other features will help to make your site easily. In addition, Education Base Pro have Header Options to manage every entity of the header, footer options to manage the footer section and have many other options build in customizer will help to manage every entity of the websites. 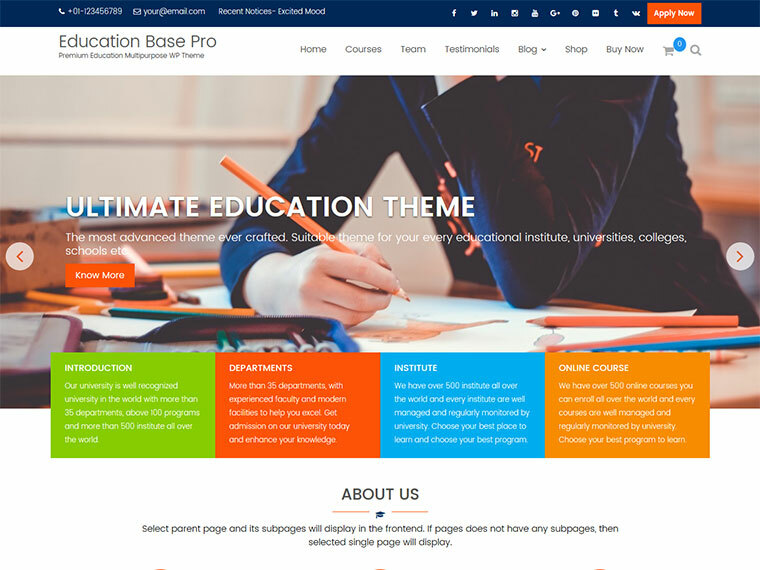 Education Base Pro is SEO friendly, Highly Optimized and Quality Coded theme. Besides this, it is translation ready, child theme compatible and responsive WordPress theme. You can easily browse your website with good layout in any type of devices. It’s unique blog section, testimonials sections, contact section, courses section and many other home page and inner page section will be the cornerstone part of your website. Don’t think about alternative and don’t afraid about support because dedicated support team will be the backbone on your every steps problem.